Saint-Gobain's traveling exhibit "Future Sensations" visits Philly this summer. One of the world's oldest companies is turning 350, so, to celebrate, materials manufacturer Saint-Gobain has created an amazing digital art installation. "Future Sensations," a touring exhibit featuring five sculpture pavilions, is headed to four cities in the world, and Philly is one of them. "Future Sensations" will be installed at Eakins Oval for just eight days, Saturday, May 30, to Saturday, June 6. 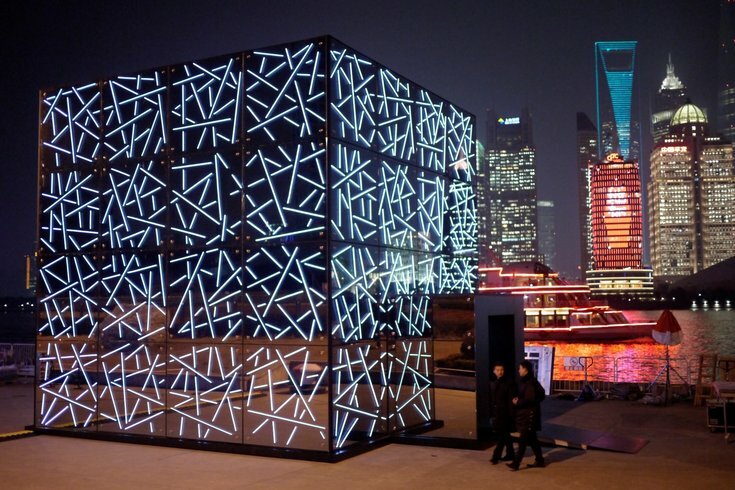 It will feature five different futuristic "ephemeral pavilions" of light and color. Visitors will be able to walk through each one, creating myriad viewpoints of the art during the day and night. Four of the installations (called Look, Listen, Create and Color) will travel to Shanghai, São Paulo, Paris and Philly. The fifth has been created just for the City of Brotherly Love. The massive structures will use art and science to look into the future and inspire visitors to innovate. As the first pop-up event at the Oval for the summer, "Future Sensations" will be free and open to the public and accompanied by a beer garden and food trucks. It will be open from noon to 10 p.m. most days, providing plenty of time for colorful selfies and finding the perfect Instagram angle.